Central Florida Earth Day is seeking volunteers for the day of the event! People are needed to set up and break down; to staff Earth Day Central; to assist speakers, musicians, food vendors, etc. ; to help at the Earth Kids Zone; to distribute the Earth Day info guide and other literature; and various assorted tasks. 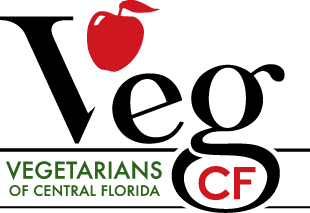 Active Vegetarians of Central Florida members and previous volunteers (at Earth Day or Veg Fest) are strongly preferred. Volunteers are greatly appreciated and will receive several benefits! To volunteer, please complete the Volunteer Application. If you have any questions after reading the application, please contact the Earth Day volunteer coordinator Malila Robinson at Malila@CFEarthDay.org or 732-241-7631. There will be a volunteer orientation at Lake Eola Park on Saturday, April 13 at 5:00 p.m. New volunteers are strongly urged to attend; previous volunteers are invited to attend but not required. Session will be brief and we will feed you! Please meet at the front of Eola House (park office) at the end of Washington Street across from the children's playground.